How is it possible that my sweet babe is... 10 months old? Where has the time gone? It feels like just yesterday she was born and put into my arms, where I couldn't see what she looked like yet because she was placed under my chin, but all I could care about was keeping her warm and the cuddles. I shared my birth story on my other blog, and I plan to get it going on this blog too. 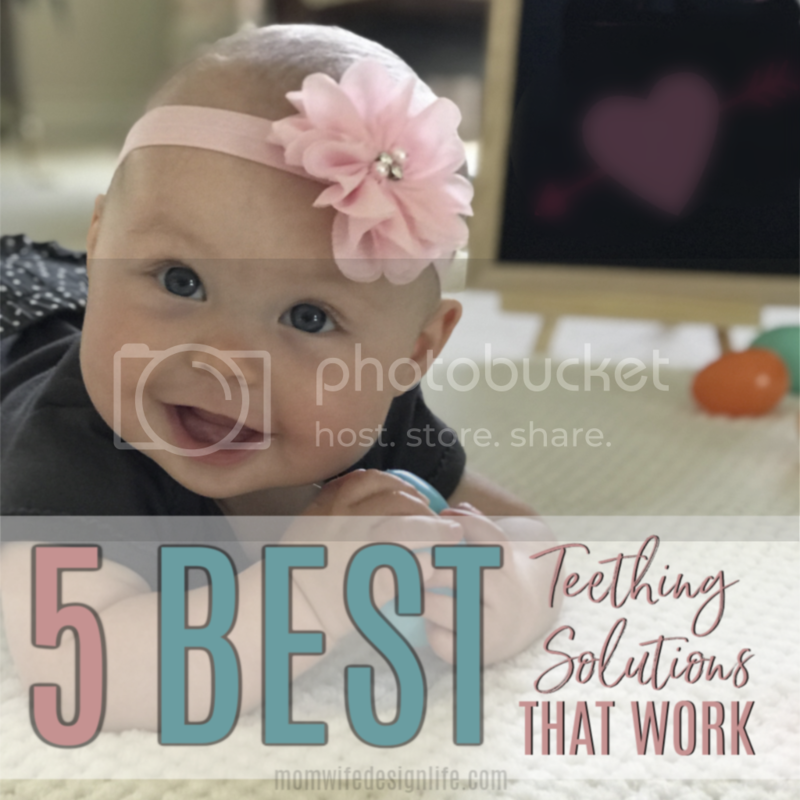 Over the past 10 months, Mackenzie Nicole has developed a little personality of her own. She is the happiest baby, loves to eat, loves to play and be around people. She now wants to climb the stairs, couch, and anything she can. I also have NO IDEA how anyone can get the monthly photos with them laying down. I tried and this was the best we got. She just does not want to sit still, or be on her back. So props to you mamas that can accomplish this with a not so squirmy baby. It also just dawned on me that her first birthday is now only two months away. So, this past weekend I got started on making decorations for her party. 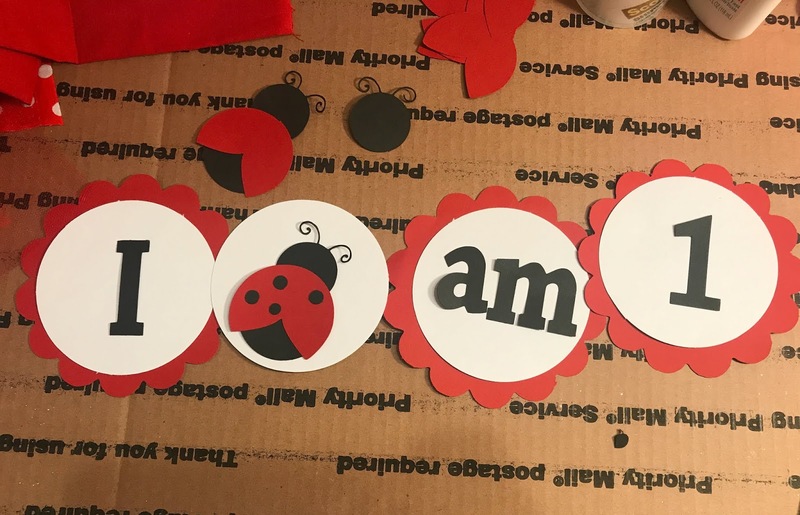 We chose to do lady bug theme which fits so perfectly because a lady bug is the symbol I use when I sign her name, and she has really been a lucky charm for us. My husband and I would have been at that Route 91 festival in October if I hadn't been pregnant so I've really felt like she saved me. It still freaks me out when I think about it. On Friday evening my husband, Kenzie and I went to the Dodger game to support her Uncle Dylan. The Dodgers haven't played the Astros since the World Series last year so this was a huge game! It was pretty crowded and so many celebrities were at the Stadium. From James Bateman to Hunter Hayes. Once the game ended, we waited for Uncle D to come out so we could grab some food. We ended up eating pretty late at Yardhouse and drove home. We were so exhausted. We had originally planned to go to the beach Saturday morning but decided to sleep in instead. On Saturday Morning we grabbed breakfast before my hubby and Kenzie went back to LA for the Dodger game. Which I was pretty excited to be able to clean the house and really get started on her Birthday decorations. I made some banners, her high chair banner, and a few tutus. I'm not quite done with them yet but here are some progress photos below. I feel so much better that I got a head start. Once less thing to stress out about. I will also work on getting some tutorials for these too because they really were not difficult or as time consuming as I thought they would be. I have a feeling the end result will be so cute and I can't wait to get photos of everything. I will make sure to have some downloads for you guys to use yourself too. I am also working on getting her tutu made for her 1st Birthday Cake smash photos, which I JUST booked on Saturday. I know these two months will fly by and I don't want to leave out any details! On Sunday we took Kenzie swimming at my parents. She hadn't gone for a swim in a few weeks so it was a little overdue! She just loves the water. Plus it tired her out so she was able to take a good nap. Overall, it was a good and productive weekend with some fun mixed in! The perfect kind of weekend in my eyes. 3. Receiving a gate/play pen we ordered on Amazon. It will help keep her away from the stairs and we will be able to block her from certain areas when we need to. Which is a totally must for a babe who is constantly on the move! How did you spend your weekend? Have you gotten anything done that you've been putting off for a while? What are you looking forward to this week? I know!! The time has FLOWN by. It makes me so sad, yet happy at the same time.